When school lets out, many children in rural communities must take a long bus ride home, miles from their nearest neighbor. They don’t play basketball with their friends, do art or science projects with the local community group or get help with their homework. Most go home to families with limited resources, struggling to make ends meet. For many of these children, an after-school program is their only opportunity to get help with homework, take part in extracurricular activities and socialize outside of school. But school officials in rural districts say there is a shortage of programs in their communities because they struggle to provide transportation, find qualified staff and enroll enough students to generate adequate funding. And unlike more populated areas, there often are no other organizations to turn to for help. 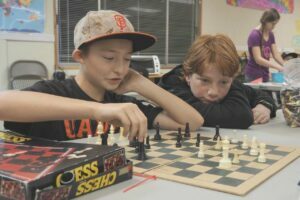 “There’re no local foundations, community-based organizations with expertise or funds for youth services from parcel taxes,” said Jason Riggs, the region lead for the California Department of Education in Mendocino and four other Northern California counties for the state After School Education & Safety Program and the federal 21st Century Community Learning Center program. There are also fewer businesses that can donate, he said. Research has shown that expanded learning programs after school and in the summer have helped close both achievement and opportunity gaps between low-income children and their middle-class peers. After-school programs are also often places where children practice social skills. In rural areas, they may be the only chance children have to develop friendships outside of the structured school day. 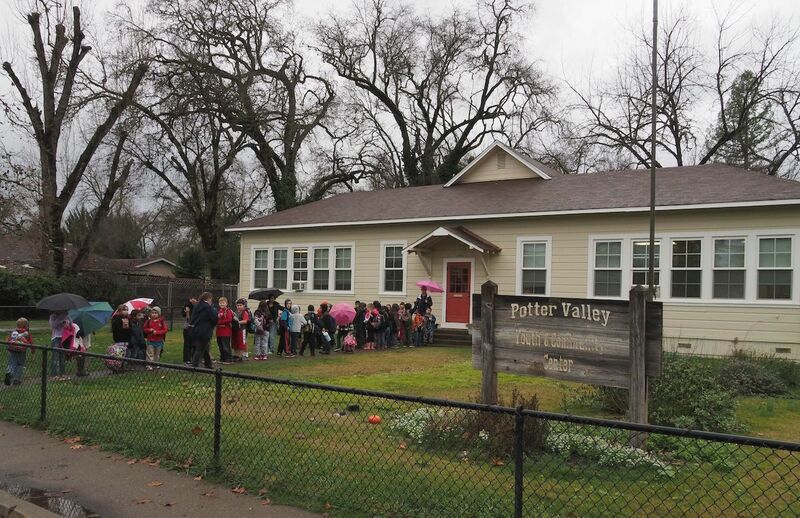 Potter Valley 1st- and 2nd-graders walk from their school to the community center for their after-school program on a drizzly day in December. 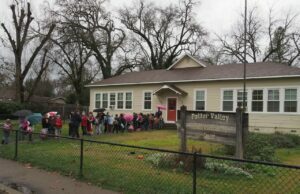 “We don’t have neighborhoods that kids can play in,” said Sheri Burris, who is in charge of the after-school program for Potter Valley Community Unified in Mendocino County, where about three-quarters of the 259 children in the district qualify for free and reduced-price meals, one measure of poverty. Gilberto Martinez, 8, who participates in the Potter Valley after-school program, said that he does not live near his friends. 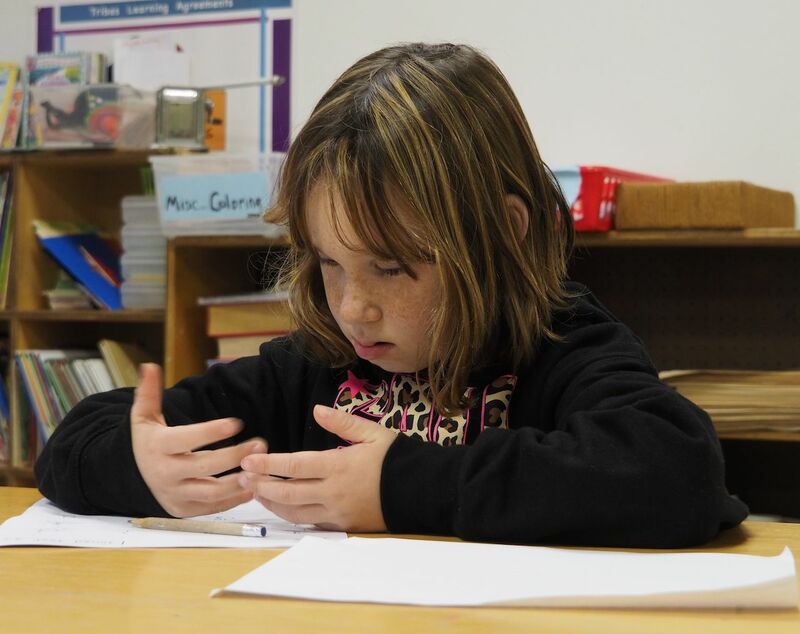 De Funk, after-school program director in Modoc County, said expanded learning programs also provide a safe place with caring adults for children who witness violence or drug and alcohol abuse in their homes. In addition, the programs help students academically, she said, because some parents don’t have the educational background needed to help with homework, particularly with the new curriculum based on Common Core state standards. First-grader Maci Gamble works on a math problem in Potter Valley’s after-school program. At Laytonville Unified in Mendocino County, where 71 percent of the 410 students are eligible for free meals, the first hour of the after-school program is focused on homework. Colleen Cabanillas, who used to teach at the district’s continuation high school, said some students there were so credit deficient they couldn’t graduate. She started the after-school program to make sure the district’s elementary and middle school students had a solid foundation when they entered high school, she said. But the Laytonville program does a lot more than provide academic support, acting as a hub for a variety of activities, such as music lessons, tutoring, soccer and dance, many offered through the nearby Healthy Start state program. Students check into the after-school program and then walk to the other activities, located nearby. After their classes or soccer practice, they come back to the after-school program until their parents can pick them up. Sarah Shelley lives on a remote ranch with her three children, a kindergartner, 5th-grader and high school junior. The children get out of school at different times, ranging from 12:30 p.m. to 3:30 p.m. The younger two, both girls, participate in dance. The older boy plays soccer. 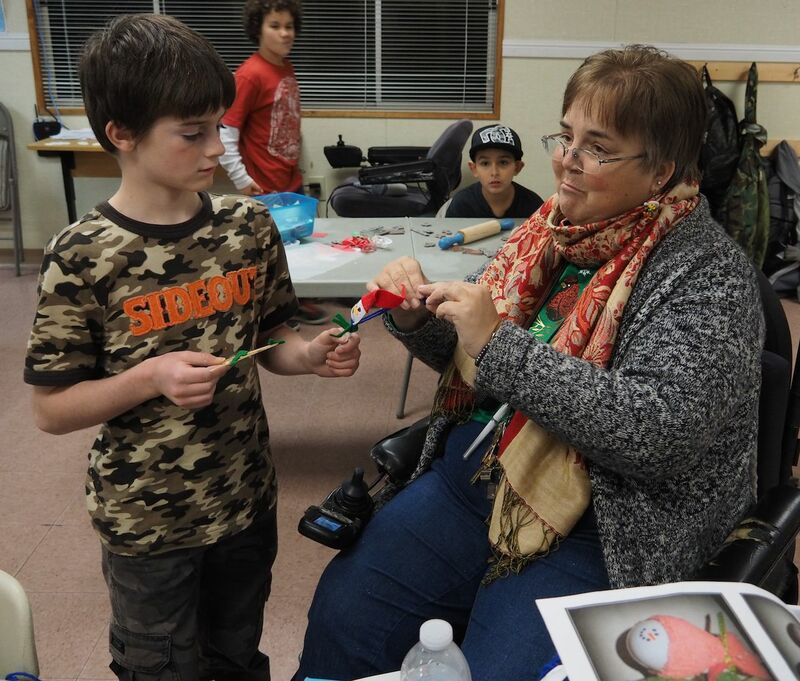 If it weren’t for the after-school program, Shelley said, she and her children would be spending hours in town with nothing to do, waiting for one or another child to complete an activity because the school is too far away to return home in between activities. “Without this program, it would be so hard for them to do extra things,” Shelley said. Fourth-grader Aaron Vossler gets help with his art project from Colleen Cabanillas, who started the after-school program in Laytonville. Parents are expected to pick up their children after the Laytonville program ends, but Cabanillas drives two girls home each day so they can participate, she said. Providing adequate transportation for the students is often the biggest obstacle, program providers say. Districts have enough funding to provide a bus home after school but nothing more. Parents often lack a car or enough money for gasoline to make the long trip to town to pick up their children. And walking home, even for students who live nearby, is typically out of the question. The Legislature recently passed Senate Bill 1221, introduced by Sen. Loni Hancock, D-Oakland, which is expected to offer some relief to programs that qualify, providing up to $15,000 a year for transportation. But the funds won’t be available until the 2016-17 school year. In addition to transportation issues, the most remote or “frontier” programs have trouble finding qualified staff, said Beth Chaton, program coordinator for after-school programs at the Humboldt County Office of Education. After-school employees often hold more than one job, typically working as instructional aides during the day and sometimes driving students home after the program ends. At one point at Bridgeville Elementary school district, which serves 42 students, the superintendent/principal also acted as the maintenance person, bus driver and after-school program director, Chaton said. “If we lose staff, it’s hard to replace them,” she said. Replacing students can also be a problem. In her county, lumber mills were the main source of jobs. But many have shut down or are cutting back on employees, causing families to move when a parent finds another job. 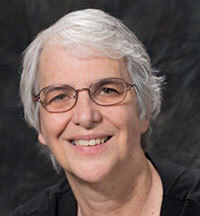 If one more family moves out, it can mean there won’t be enough students to generate the funding needed for an after-school program, Chaton said. A modest rural after-school program, with one employee, can cost about $20,000 a year. The state requires after-school programs to operate a minimum of 15 hours per week and remain open until 6 p.m. on every regular school day. 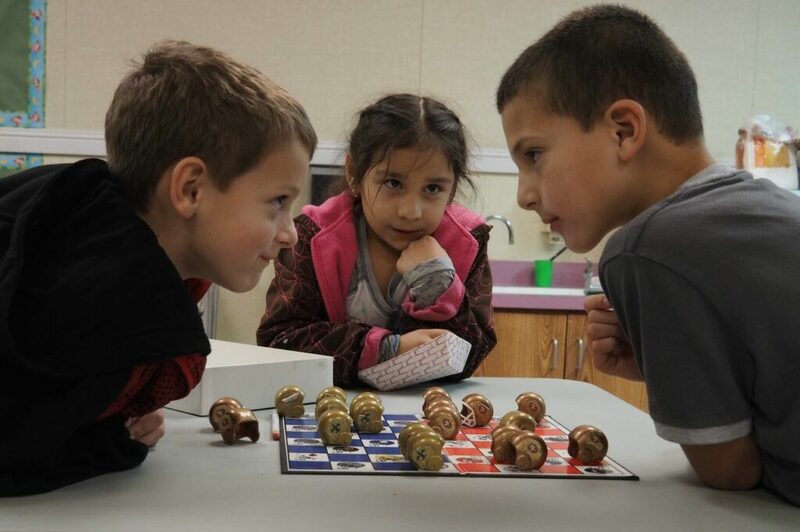 Allyson Harris, program director for after-school programs for the Shasta County Office of Education, said that Platina Elementary School, about two hours from Redding, has a program that receives $13,500 for its 13 students, of which 10 qualify for free and reduced-price meals. “It’s quite a challenge to keep the doors open,” Harris said, adding that the school’s general fund is supplementing the program. The after-school teacher is the bus driver, and school employees who live nearby are on call in case the teacher has an emergency. Part of Senate Bill 1221 that will take effect in the 2015-16 school year will help small programs like Platina’s by raising the minimum funding to $27,000. Currently, a couple of the smallest programs receive just over $4,000. Altogether, 26 programs get less than $27,000. Commitment from community members is key to making many rural programs work well for students, after-school providers say. In Surprise Valley in Modoc County, well-educated staff, with bachelor’s and master’s degrees, have been with the after-school program for many years, Funk said. Sixth-graders Hunter Bassler and Preston Wheeler are engrossed in a chess game at Laytonville’s after-school program. At the Laytonville program on a rainy day before Christmas, students were able to make ornaments out of Sculpey clay because Cabanillas had brought a toaster oven from home to bake them in. The room was awash in color and activity, with shelves full of books and board games, many donated by community members. Children played checkers or chess, or sprawled on two black beanbag chairs the size of small couches, reading. Large tins held art supplies, such as buttons and painted Popsicle sticks. Olivia Mitchell, 12, lives on the nearby Cahto Reservation with her sister, Kaya, 8. Thank you for a very relevant article. You touched on most of the needs that our rural districts face. We are hoping to be able to continue our after school services as they help provide academic support along with nutrition that our students otherwise would miss. Thank you for your excellent article. As Director of Expanded Learning Programs for the Butte County Office of Education my team struggles everyday to serve as many students as possible with limited funds. Students who live in rural and isolated areas are just as deserving of after school program opportunities as students in urban and suburban communities. We are excited about SB 1221 because it will provide much needed transportation funding. Many students want to attend their after school program so they can be involved in Lego Robotics, sports, cultural cooking, and science experiments, to name a few, but are unable to do so because their only ride home is the end-of-day school bus. I want to thank each person mentioned in this article for their passion and dedication. Rural programming is “rich” with caring individuals who work very hard to make a difference in the lives of the young people in their community.